Image: RobsonPL/iStock Editorial/Getty Images Plus. Good news for vegan families out there: McDonald’s has launched its first vegan Happy Meal. Bad news for vegan families in the U.S.: It’s not available here — yet. Following major changes to the fast-food chain’s menu over the past couple of years, including releasing its very own vegan burger, the McVegan, in Finland and Sweden at a time when plant-based alternatives really started taking off (a trend that shows zero signs of slowing down!) 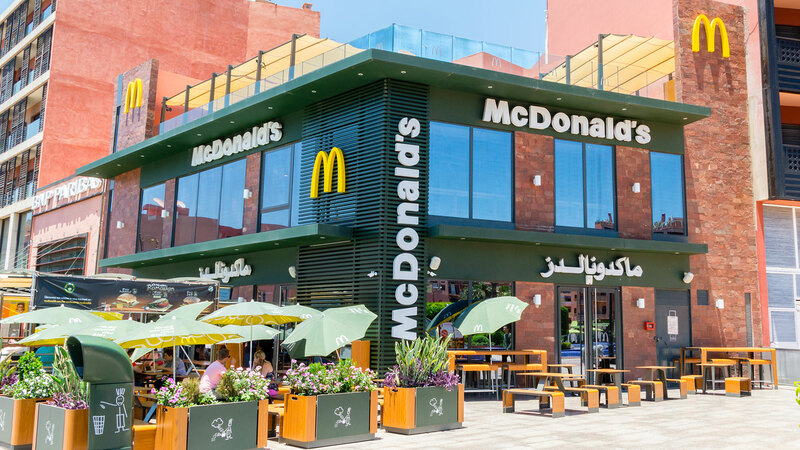 and its announcement earlier last year that by 2022, McDonald’s aims to improve the Happy Meal menu by offering more balanced meals and simplifying its ingredients, McDonald’s will now serve the McFalafel, a vegan menu item that can be either ordered on its own or as part of a Happy Meal for the kiddos. McDonald’s U.K. was first to offer the vegan Happy Meal earlier this month to all of its United Kingdom locations, and McDonald’s locations in Sweden followed suit shortly after. Unfortunately for us in the U.S., we have yet to see the vegan Happy Meal hop the pond. Here’s what you can expect in the vegan-friendly meal, though: The McFalafel is made with chickpeas and seasoned with parsley, garlic and cumin. It’s served with two brand-new dipping sauces — a creamy, herb-seasoned yogurt dip and a vegan-friendly, grilled pepper-flavored sauce. And if opting for the Happy Meal, kids can choose between a side of apples, carrots or a small order of fries and their choice of milk, juice or soda. You know, the typical. Now, if only we can get the McFalafel to make its way to the States.